Preparing for every game no matter what and training until every body part is sore is part of the blood, sweat and tears detailed in the contract that each new NFL player must sign. But while these rookie players are putting their well-being on the chopping block, who’s looking out for their best interest physically? David Irving, former Dallas Cowboys defensive tackle, recently announced his resignation from the NFL because of its policy prohibiting the use of marijuana. I understand the need for medical marijuana, but when it interferes with the job that is expected of you, I can see how it could become a problem. At the end of the day, these players know what they signed up for. They know the NFL rules and expectations, so if they aren’t willing to compromise, then maybe this isn’t the right career choice for them. But if players use medical marijuana to ease physical pain or mental health issues and still fulfill the requirements of their job, then it shouldn’t be a problem. 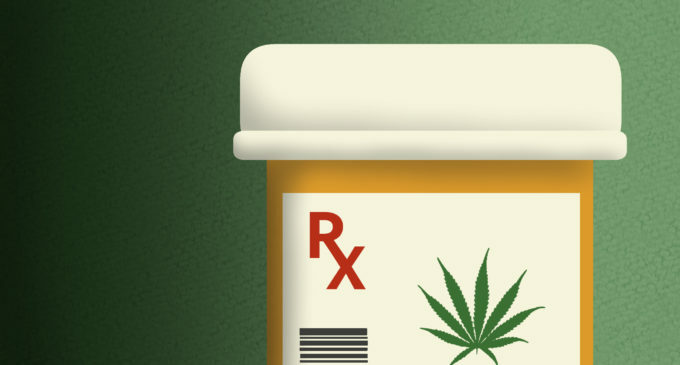 Unlike recreational, medical marijuana (or medical cannabis) is used to relieve and treat symptoms and is safer than taking highly addictive pain relievers like opioids. Opioids are the main cause of death by overdosing on a drug, according to the Center for Disease Control. Marijuana use affects memory, the ability to handle difficult tasks, walk, problem-solve and more, according to the University of Rochester Medical Center. It is clear how weed use could interfere with the way a football player practices and performs. But there could be a compromise on when these players are allowed to use medical marijuana. If weed is prescribed by a doctor, then it should be just as acceptable as any other medicine. Drug-testing policies would have to be nuanced as well. Many physicians believe cannabis should be legal and allowed in the NFL due to the physical toll of playing professional football and because it is less harmful than alcohol and tobacco. But the NFL doesn’t feel the same way. According to the NFL’s policy, players are penalized for using marijuana in any capacity, even if it is legal in the state. Consequences range from forced intervention programs to long suspensions. Instead of the NFL spending $13 million per year on its drug and steroid programs, they should divert some of these funds to research marijuana’s benefits and effects. Times have changed and realizing the medical benefits of marijuana has led to several states changing their laws around its prohibition. Maybe the NFL should follow suit and catch up with the times. Though using marijuana could potentially be addictive and lead to marijuana use disorder, using it in moderation can give players and other people the medical assistance they desperately need without depending on harmful opioids. The NFL is actually considering changes to its marijuana ban and they’re tired of players missing games because of the substance. The NFL Collective Bargaining Agreement is set to expire in 2021, so any changes decided wouldn’t be immediate. But when the health and livelihood of these players are at stake, what is there to really negotiate?